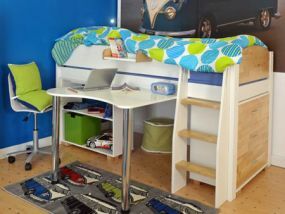 These midsleeper beds from Kids Avenue provide affordable and stylish space-saving solutions for rooms of all shapes and sizes. 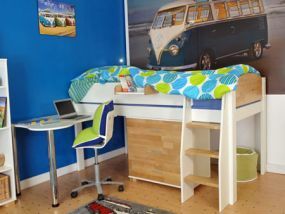 Individually designed for children of all ages, they free up space to play and study. 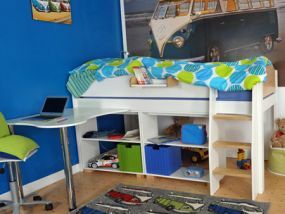 Unique storage options provide plenty of space for keeping books and toys tidy. 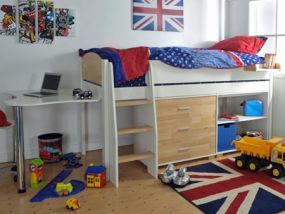 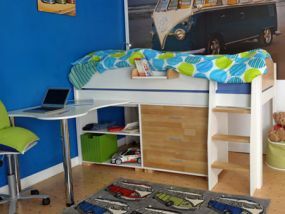 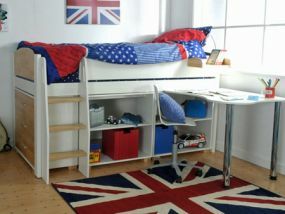 Available in a number of styles, the Kids Avenue Midsleeper Beds offer a combination of under bed storage, shelves and drawers, sturdy wooden ladders and a useful desk for increased practicality. 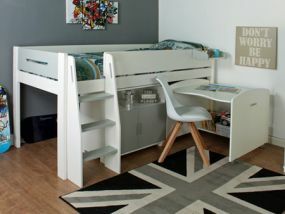 Bang on trend, each bed features a clean, contemporary design combining both modern and traditional elements. 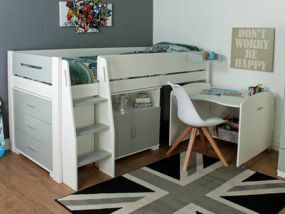 Neutral tones help create a relaxing feel. 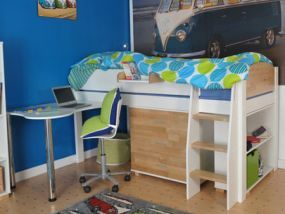 Safety is paramount, which is why Kids Avenue's Midsleeper Beds are made using sturdy frames and solid wooden sides. 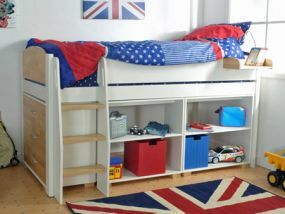 Chunky ladders with rounded hand-holds provide added safety measures. 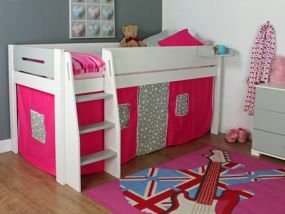 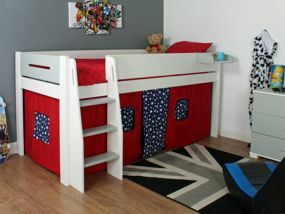 The Kids Avenue Midsleeper Beds will help create a bedroom your children will love and want to play in.